It is widely known that during a divorce, the couple must divide up all marital property they acquired during the course of their marriage. This can include furniture, vehicles, homes, and any other type of property. However, along with dividing assets, the couple must also divide up any shared debts they currently have together. Under California state law, debts are divided equally between both spouses according to financial worth. If you are currently going through a divorce, you need someone on your side to protect your interests every step of the way. 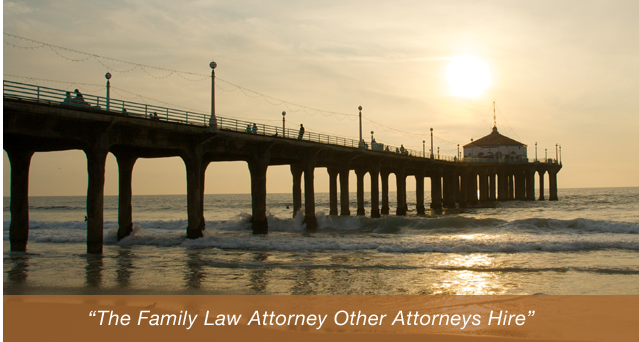 To speak with a qualified attorney about your options, contact the Manhattan Beach division of debts lawyers of the Law Office of Baden V. Mansfield today at (310) 546-5858 and schedule a confidential consultation. In California, the same standards that apply to the division of assets also apply to the division of debts. Debt that is subject to equal division in a divorce case is any debt the couple acquired together during the marriage. Even if the debt is from a purchase made for the benefit of only one spouse, such as jewelry for her or tools for him, it must still be divided equally. Additionally, it is important to note that in some cases, there are some debts acquired after the marriage that may still be subject to division. The court will divide debt equally amongst both spouses. If a judge cannot split debt equally, they will often assign more debt to the party receiving more of the assets (such as property). However, if both parties names’ are affiliated with the debt, they are both equally responsible for its payment. In some cases, a former spouse may refuse to pay the debt assigned to them at the time of dividing debts. Therefore, if not previously discussed, the debt may fall on you regardless of who it was originally assigned to in order to protect the creditor. It is important that during divorce you consider what debts will come with assets that are assigned to you. For example, if you retain a car during a divorce, you will be responsible for any debt associated with the car. Similarly, if you do not believe your ex-spouse will be able to pay a debt, and you do not want the responsibility, you will be expected to pay the debt in full at the time of the divorce. Debt assigned after divorce can be complicated, especially if you are not familiar with California’s divorce laws. That’s why you need an experienced attorney to ensure that you receive your equal 50 percent property worth and that your ex-spouse receives their 50 percent share of the debt. How are joint debts affected during divorce? Joint debts are debts accrued together during marriage, such as on a mutual line of credit or on a joint credit card. A creditor views the debt as an equal assignment to both people. Similar to other types of debt, even if only one spouse incurred the debt, the creditor will hold both parties responsible if the debt cannot be paid. Creditors are only interested in receiving the money due to them and are not concerned with the source. Therefore, you must take the appropriate legal action to protect your credit from any misunderstandings that may occur with your spouse. What happens if you are bankrupt at the time of the divorce? Divorce courts may assign responsibility, while bankruptcy courts have the power to release a spouse or ex-spouse from payment. Therefore, even if your ex-spouse is responsible for bankruptcy payment at the time of the divorce, a bankruptcy court may release you from taking over the payment. However, this does not always occur – sometimes a lender or creditor will try to collect the owed money from the ex-spouse. To prevent such a situation, you will need the help of an experienced lawyer. A lawyer can help you form a separation agreement, especially if you suspect your ex-partner has filed or may file for bankruptcy. Contacting an attorney is important to not only protect your credit but to prevent your former spouse from taking advantage of your financial situation during a divorce. Do not hesitate to seek legal advice and assistance during your divorce. Contact the knowledgeable Manhattan Beach division of property and debts attorneys of the “>Law Office of Baden V. Mansfield today at (310) 546-5858 and schedule a consultation to discuss your options.